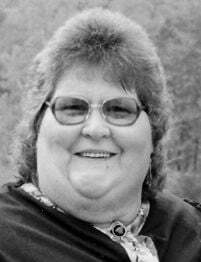 Bianca H. Brown DANBY — Bianca Hattie Brown, age 81, passed away at Rutland Regional Medical Center in Rutland on Tuesday, April 2, 2019. Bianca was born on May 11, 1937, in Weston, the daughter of the late Einar and Ruth (Carleton) Fabricius. Bianca will be remembered as a loving wife, mother, grandmother and great-grandmother who always put the needs of others before herself. She was predeceased by her parents; a brother, Howard; and her husband, Corey Brown. She is survived by her eight children Brenda Fizur, John (Bambi), Sharon Herrmann (Bill), Gail Seaver (John), Norman (Judi), Perry (Beverly), Roger (Bev), Velma. She was blessed with 16 grandchildren and six great-grandchildren. A funeral service will be held on Sunday, April 7, 2019, at 11 a.m. at the Robert M. King Funeral Home, 23 Church St., Granville, NY. Burial will follow in the Mettowee Cemetery in Pawlet, VT. Following the burial, a Celebration of Life will be held in the basement of the Pawlet Community Church. The family suggests for those wishing to remember Bianca, memorial donation may be made to the Granville Rescue Squad, P.O. Box 153, Granville, NY 12832. Online condolences may be made at www.robertmkingfuneralhome.com.